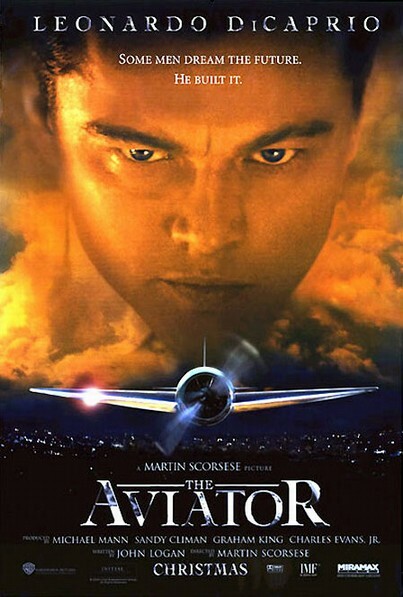 Story: "The Aviator" tells the story of aviation pioneer Howard Hughes (DiCaprio), the eccentric billionaire industrialist and Hollywood film mogul famous for romancing some of the world's most beautiful women. The drama recounts the years of his life from the late 1920s through the 1940s, an epoch when Hughes was directing movies and test flying innovative aircraft he designed and created. It also chronicles Hughes' struggle with his physical disabilities and phobias, and his increasingly erratic, obsessive-compulsive behavior that led him ultimately to isolate himself from his associates and withdraw from the world.